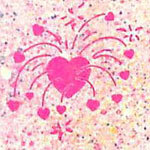 "If you find the end of a beautiful rainbow, you'll find a magical place . 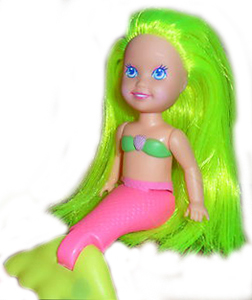 . .
the enchanted home beneath the sea where My Pretty Mermaids live!" 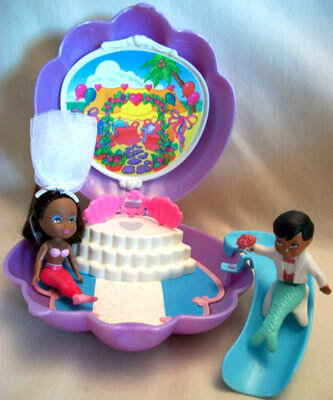 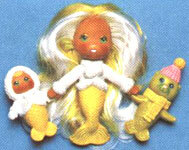 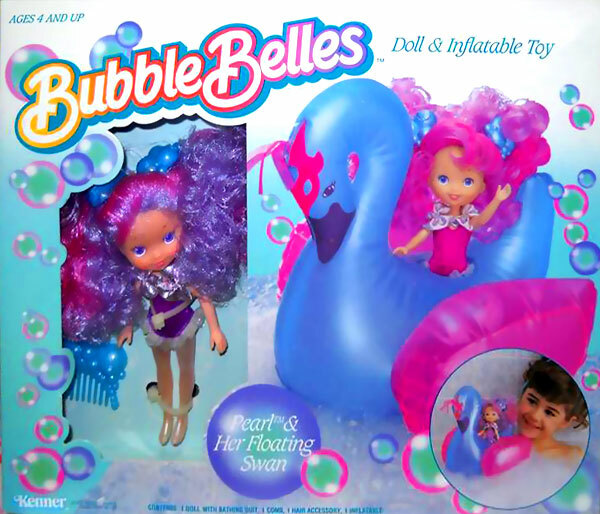 My Pretty Mermaids were produced by Hasbro Playskool in 1991. 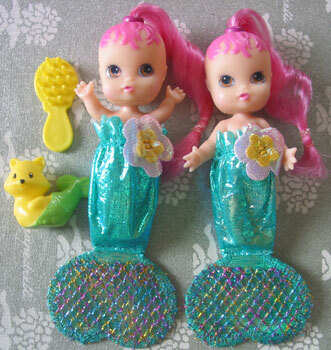 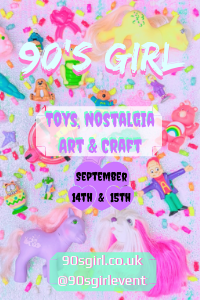 They were a series of dolls with long brushable hair and sea-themed accessories. 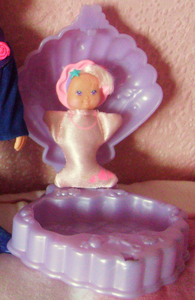 They had poseable fins to allow them stand or sit and were decorated with secret name designs on their fins that appeared in cold water. 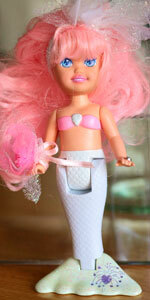 View all My Pretty Mermaid on eBay.com or eBay.co.uk ! 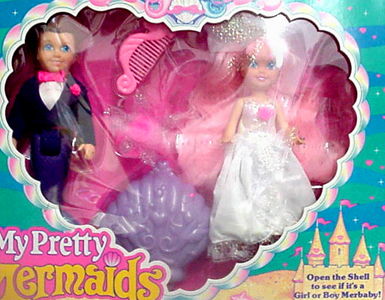 "One day, there was a romantic wedding set in a big sparkling seashell under the waves. 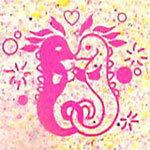 The rainbow carried the happy couple into the sky to celebrate the special day. 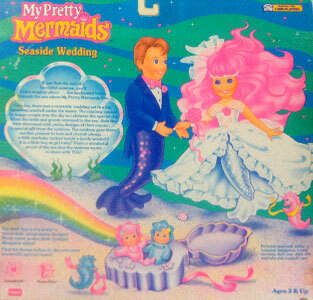 When the bride and groom returned to the sea, their fins' were decorated with pretty designs of their names . 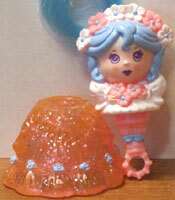 . . a special gift from the rainbow. 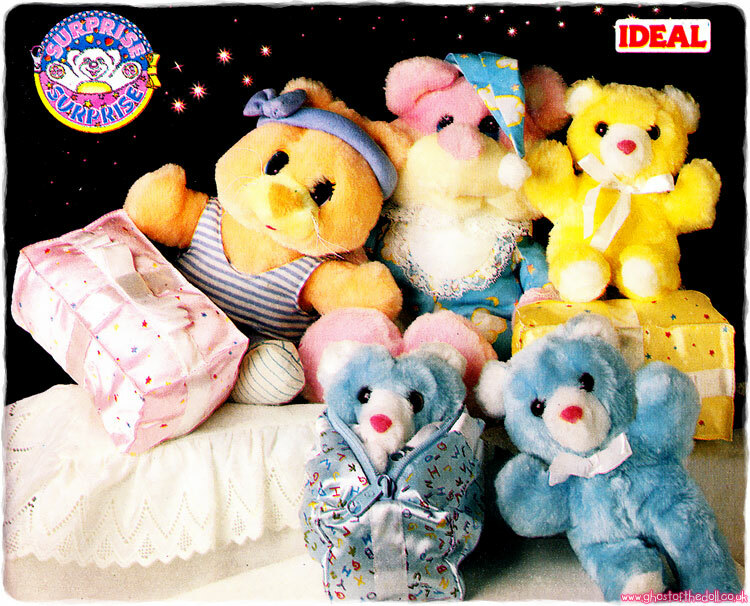 The rainbow gave them another present to love and cherish always . 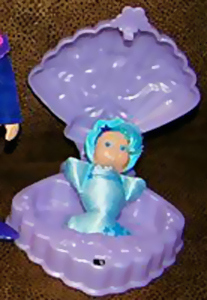 . . a little merbaby tucked inside a lovely seashell! 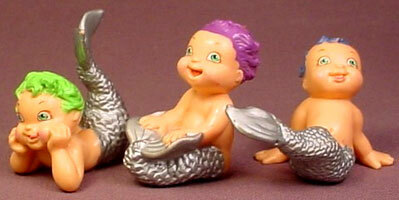 Is it a little boy or girl baby? 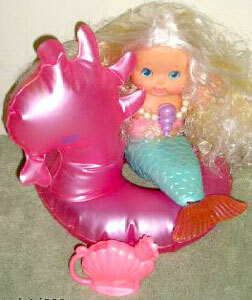 That's a wonderful secret of the sea that the rainbow wants to share with YOU!" 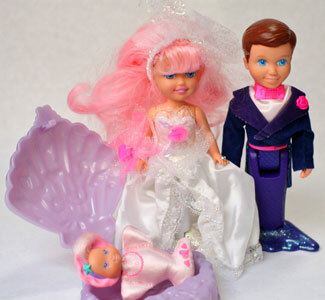 The Seaside Wedding set comprised of a bride, groom and one baby in a shell (either a boy or girl). 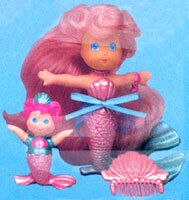 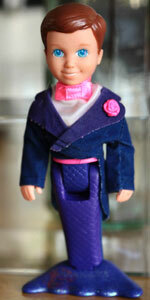 This set included the only male doll produced and came with a seahorse comb.